Caption slip reads: "Photographer: Chernus. Date: 1957-12-09. Reporter: Phister. Assignment: Child killer. 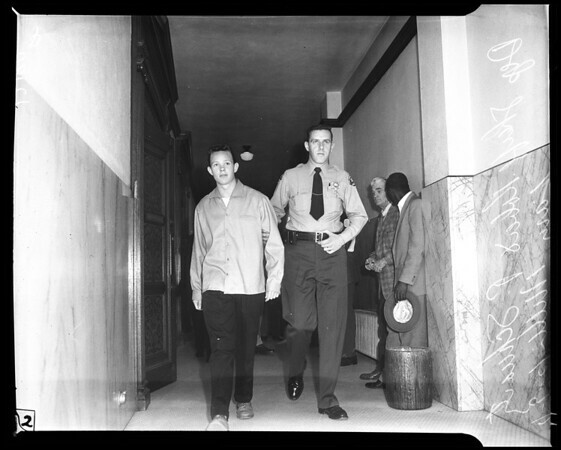 # 1&2: Show Deputy Sheriff Robert F. Schwartz leading Rolling Hills child killer, Larry Miller out of Long Beach Municipal Court after he waived preliminary hearing on charge of murder. Both negs were grab shots...".